501796 was successfully added to your cart! 501796 could not be added as a favorite. Please make sure you are logged in. Boomjet boomless nozzles provide extra wide flat spray projection. Boomjet nozzles combine two off-center tips and three Vee-jet nozzles to produce an overall wide swath flat spray. Nozzle assembly provides good distribution for the wide patterrn coverage obtained. Supplied with one additional 1/4" npt pipe plug and one blank tip for setting Boomjet to one side only. 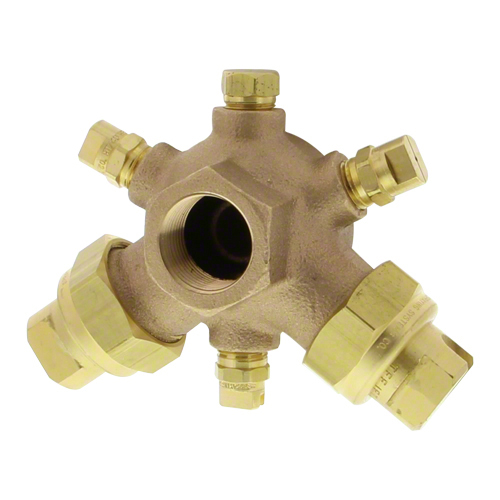 Also has a 1/4" npt pressure gauge port.